Adding the Adaptive Decision Manager (ADM) node is part of configuring Decisioning services. If the node fails to join the Pega 7 Platform nodes, you cannot use the adaptive mdoel functionality. The failure can be caused by different technical issues. Click the Node ID to view the node details. 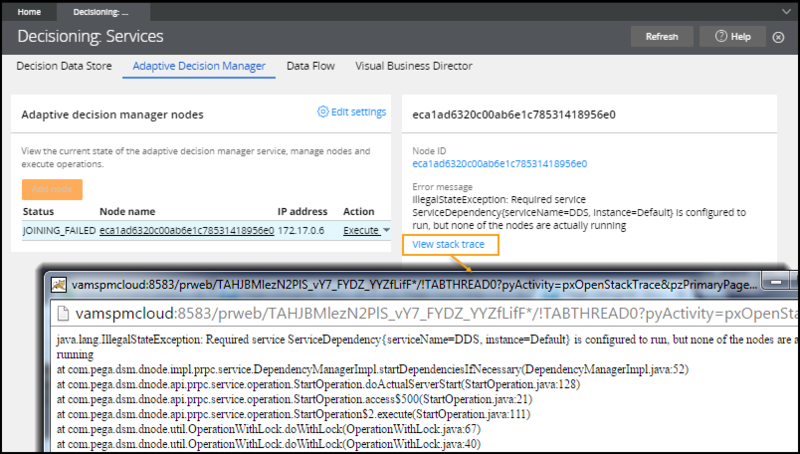 Click View stack trace to view the log file and debug the failure.